After waking from a coma following a tragic car accident, Eliza becomes devoted to her hospitalized best friend, Grace, who remains comatose. But as time goes by, Eliza must come to terms with Grace’s condition and her own coming of age, while Grace must watch the world move around her, unable to speak, but with so much to that needs to be said. This was YPT’s first-ever two-week long production of a full-length student-written play. 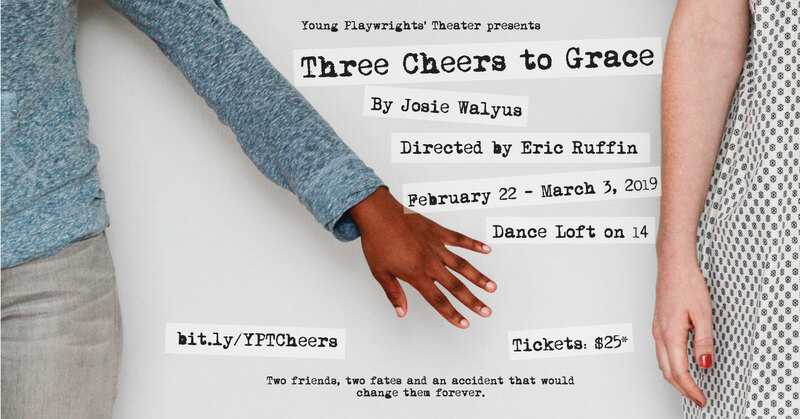 YPT is proud to present the work of 2018 New Play Festival playwright alumna Josie Walyus, an amazing alumna of YPT's In-School Playwriting Program and currently a sophomore at H-B Woodlawn Secondary Program in Arlington, VA.
See highlights from the production! This project was supported by the Mayor's Office on Latino Affairs, the DC Commission on the Arts and Humanities and the National Endowment for the Arts as well as additional funders and individual supporters.